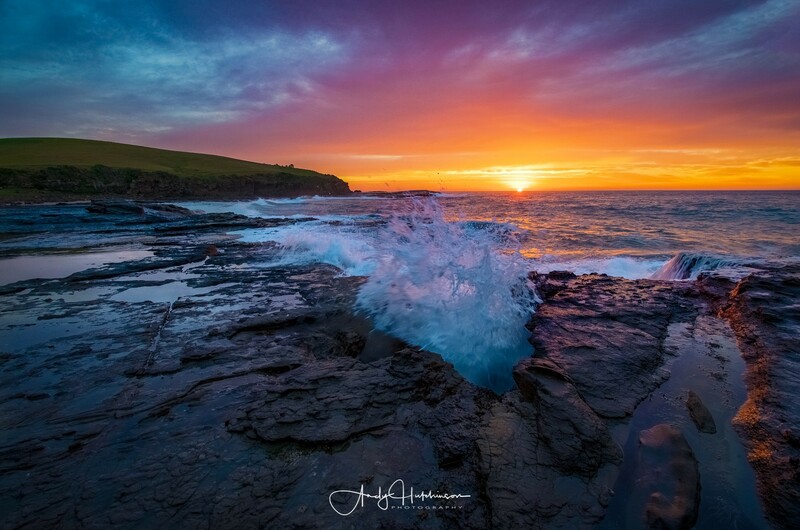 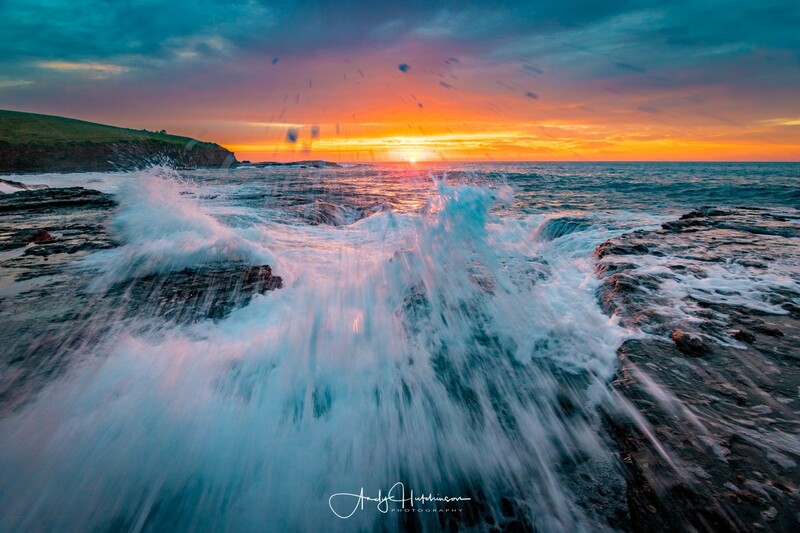 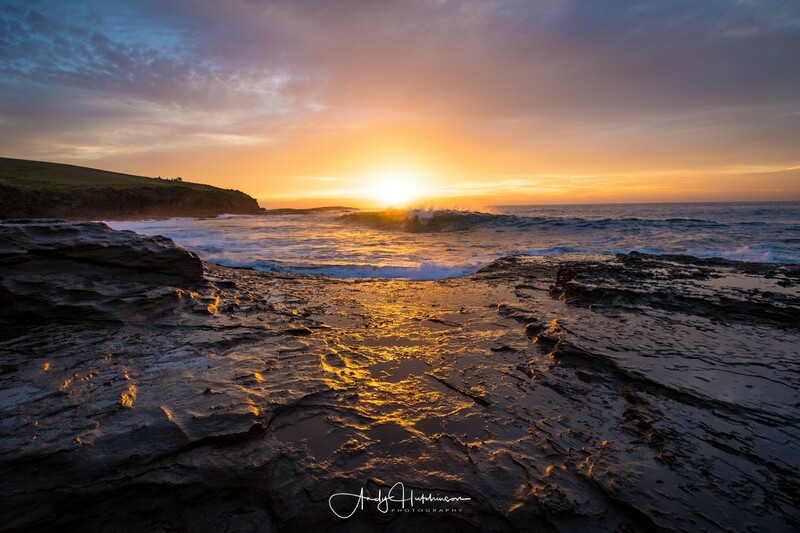 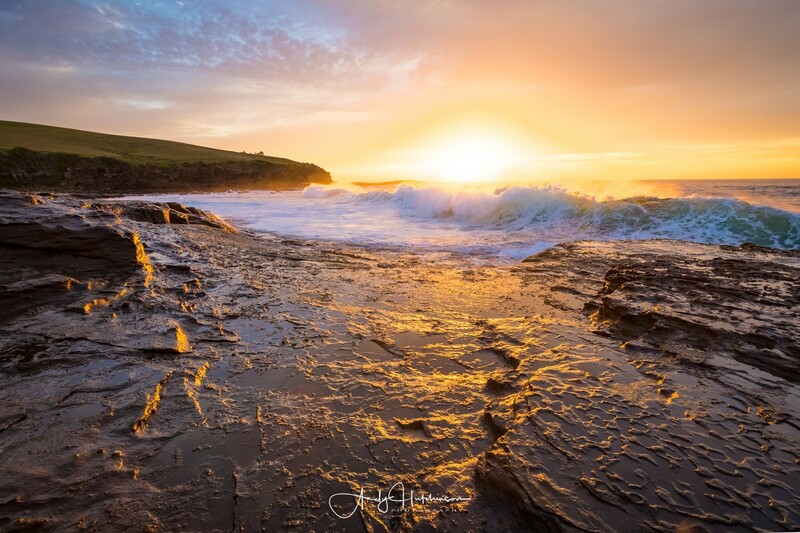 The forecast looked pretty damn fine for this particular May morning and so I got up a bit earlier than usual and headed over to the Kiama Coast Path at the Gerringong end. 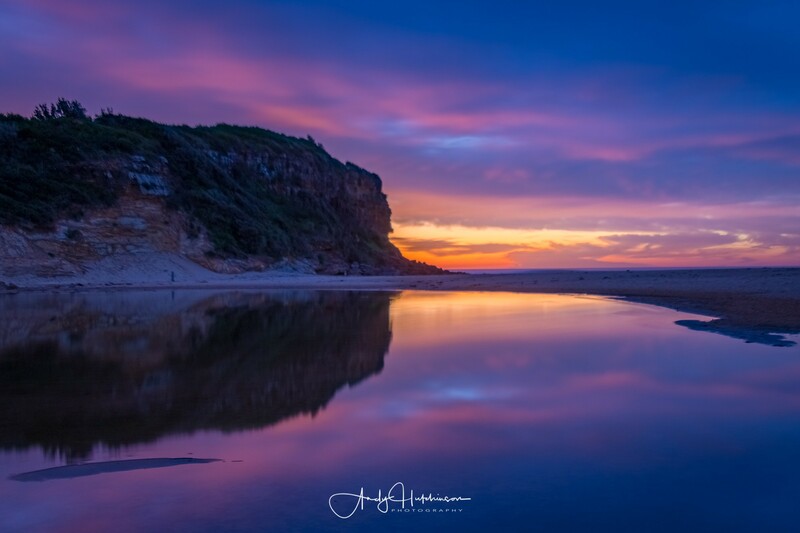 By the time I’d parked at the lagoon the sky was already showing some impressive colour and so I double-timed it round to the first bay. 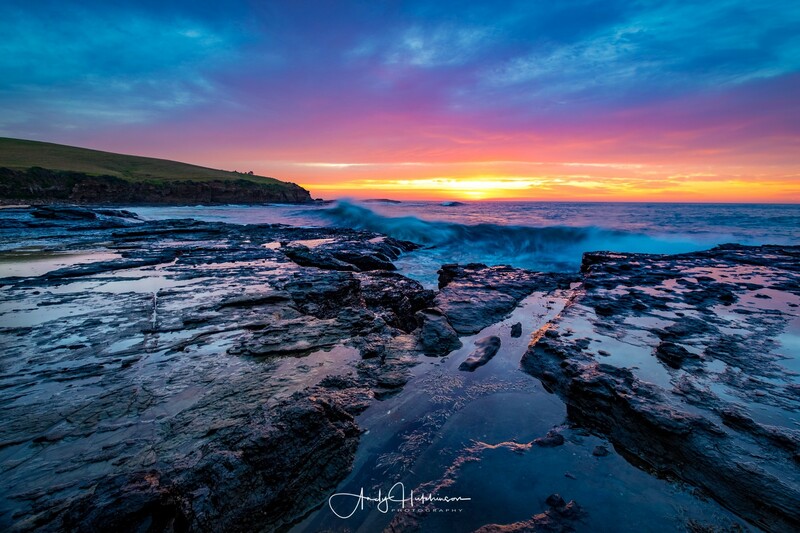 I fancied I’d get a better shot down on the rock shelf, so rock-hopped in my Crocs down to the ocean edge where a decent swell was popping wave after wave over the edge. 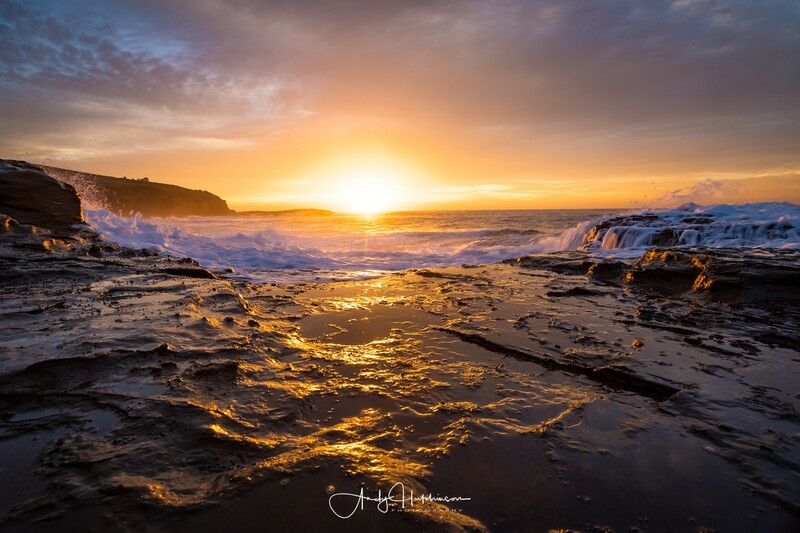 It turned out to be a great sunrise and I got some awesome keepers to add to the collection. 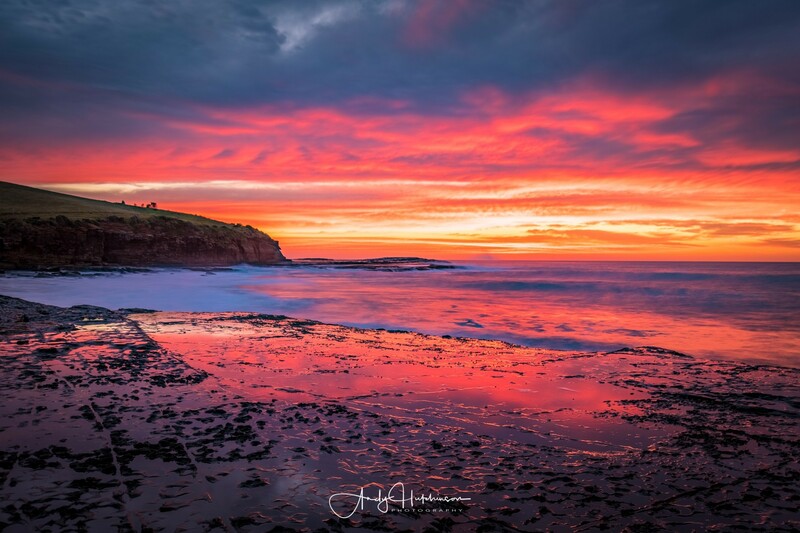 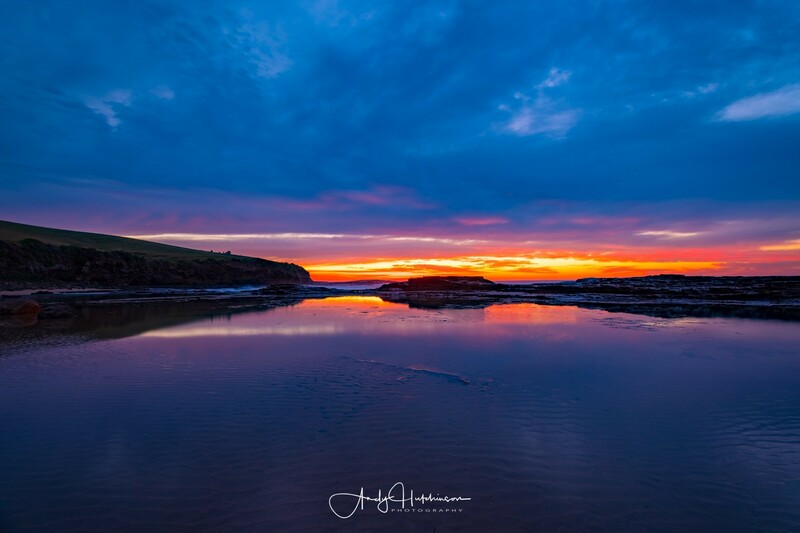 The Kiama Coastal Path connects Kiama with Gerringong by way of a track along the rugged coastline between the two towns.